Express your individual sense of style while cooling your living or working space with these attractive, duct-free air conditioning solutions. With contemporary styling, the indoor units of Mitsubishi one-to-one single zone systems blend into any décor. 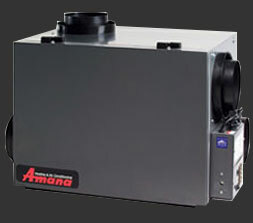 Designed for duct-free installation and single-room use. This unit has the Puron Refrigerant that is environmentally sound and wont deplete the ozone layer. Infinity series products represent the pinnacle of our communicating technology. 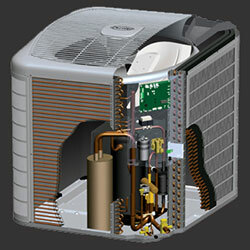 In a heat pump, this advanced system enables some of the best comfort features and energy saving advancements. With the Infinity 19 heat pump you can enjoy two-stage compressor comfort, exceptional cooling and heating efficiency and, when paired appropriately with the Infinity control, greater energy savings and convenient system management features. Should you choose to add an Infinity furnace with variable-speed blower motor you can have an energy-smart, Hybrid Heat® system with exceptional year round comfort and savings. Enjoy a breath of fresh air even when you’re indoors with an energy recovery ventilator. Stale and polluted air becomes a thing of the past! Let us know how we can be of better service to you! Fill out the contact form or call us today at (717) 795-7533 . We look forward to receiving your information or call!